We provide a comprehensive, reliable service to both commercial and residential service located in the Fairfield County Area. After over 15 years serving the Fairfield County area with electrical services, we are experts in the industry, and can provide you with quality service time after time. We do everything ranging from security installations to interior and exterior lighting solutions! It is vital for your business to invest in a trusted, experienced, and reliable electrical service. The team at Marlin Electric is well versed in the safety requirements mandated by the state, and pride ourselves on our ability to provide a professional and safe service every time. To find out more information regarding your electrical needs in Fairfield County, reach out to our team at Marlin Electric. 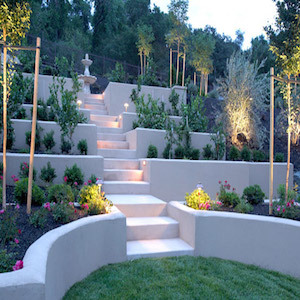 Our landscape lighting services are the best in the industry. We offer safe, affordable solutions, guaranteed to enhance the exterior of your home or business. In addition to aesthetics, our exterior lighting solutions will enhance the safety of your Fairfield County home or Business by providing evening illumination. Our experienced team at Marlin Electric is proud of our security and motion detecting lighting systems. Safety is our top priority, and we can help you determine the most fitting security light system for your Fairfield County home or business. Spa and Pool lighting is a cost-effective solution to improve the safety and aesthetic of your Fairfield County property. 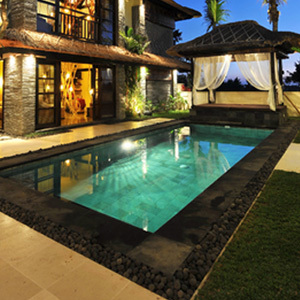 Reach out to our team, for more information regarding your pool and spa lighting installation or repairs. Rest assured, our team at Marlin Electric is experienced with all Fairfield County codes and regulations related pool and spa lighting. Prior to installation, our electricians will walk you through the process related to draining and potential impact to your property resulting from the installation of new pool and spa lighting fixtures. Our team is here to ensure that you are aware of the entire process, as well as to minimize any invasive steps are necessary to get your fixtures installed safely. It is vital for every home or business to consider security. With so many options Marlin Electric is here to guide you to the perfect solution to fit your needs. We specialize in security systems for the Fairfield County area, and our team is experienced will at types of cutting edge new alarms and security systems. We also provide maintenance to each of the systems. Even the most advanced security system will prove ineffective if it is installed incorrectly. For this reason Marlin Electricians are trained continuously to ensure we are up to date on the latest in cutting edge technologies. Security wiring is extensive, and our team will run comprehensive checks to make sure your system is operating at full strength in your Fairfield County home or business. 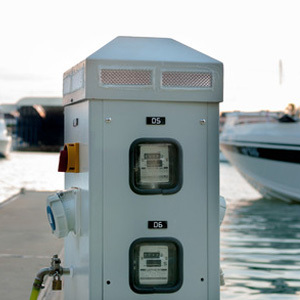 Our contractors can help you with your boat’s electrical lighting and dock wiring including new service upgrades, installations, or repairs. Marine wiring can be extremely dangerous if exposed. Be sure to call an expert if you have any indication that your marine wiring may be damaged. You can rely on Marlin Electric to help restore your marine wiring to perfect health. 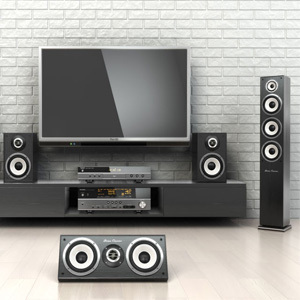 Need a new home theatre or audio system for your Fairfield County home or business? You can rely on Marlin Electric to have the experience and knowledge necessary to install a system that will wow guests and last for years. Our team at marlin electric specializes in audio installation. Our engineers and electricians will devise a custom installation for your space to provide optimal sound. We can bring your Fairfield County home or business’s audio to the next level. We offer commercial electrical services for, offices, factories, stores, schools, and warehouses in the Fairfield County area. We provide maintenance to maximize the safety of your building. In addition, we provide installation, upgrades, and repair any decay or damage caused to a past installation. We’ll be sure that every installation adheres to all laws and codes as well as regulations to make sure your facility is free of hazards. Our team at Marlin Electric, strives to provide an all-around experience for each of our clients. Our goal is to provide a quality, professional experience, that is cost effective to fulfill the needs of your Fairfield county business or home. Each member of our electrical team is fully licensed and well versed in the latest electrical laws and regulations of Fairfield County. We will partner with you to provide an optimal solution to fulfill the lighting and security needs of your property. We service Fairfield County and the surrounding area, including Trumbull, Norwalk, Shelton, Easton and more! Whenever you find yourself in need of any electrical services, or you have questions or concerns, don’t hesitate to give us a call at Marlin Electric at 203-989-2268. Need electrical installation or repair? Call us Today. Need a quote for your outdoor lighting project? Contact us today.